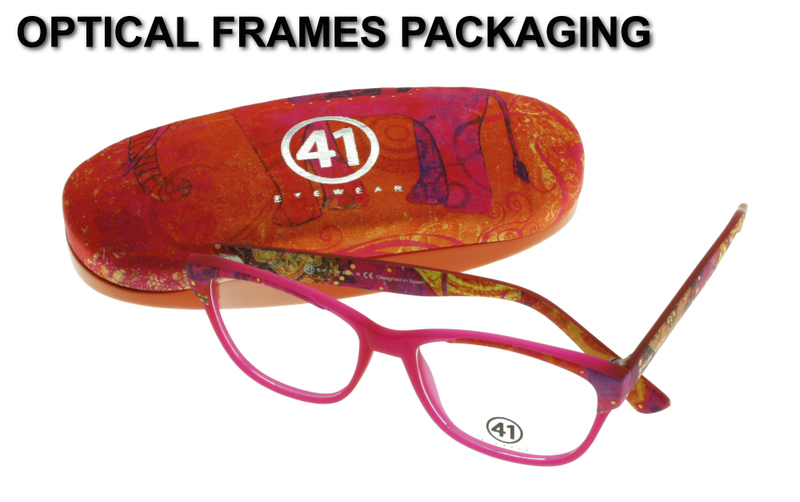 Designed and made exclusively for 41 Eyewear applied with the most advanced techniques to give a high quality finish while amusing. All of our glasses have metallic core inside the rods it gives strength and to adjust them to the end user for comfort. Frames pasta made in CP (cellulose acetate propionate or injected) with manual polishing process. Metal frames Nickel-free steel. Velvet finishes, wood effect, rubbery feel ... endless details make our collection truly unique. High quality hinge, which avoids scratches on lens is protected during the painting process so that the metal retains its original color. All our products have a two-year warranty covering manufacturing defects.